This grape variety has made its way out of the fruit bowl and into the wine bottle... and the wines are becoming more interesting. After this summer’s Olympics in Rio, the attention will turn to Tokyo. Japanese wine producers see this as their chance to put Koshu forward as a medal winner in the wine world. Once rudely described by Japanese wine writer Hiroshi Yamamoto as “essentially without much personality – like Japanese women”, wines made from Koshu grapes are becoming more datable. A small bunch of serious Koshu grape growers is elevating the variety – in more ways than one – by planting the vines in higher, cooler vineyards, changing their training systems from the traditional overhead pergolas to vertical positioning systems such as Scott Henry, and they are also experimenting with longer skin, lees and oak contact. The resultant wines are less neutral and more reminiscent of a Sancerre or Muscadet-sur-lie from the Loire. Some of the barrel-fermented Koshus are reminiscent of Viuras or Sauvignon Blancs. 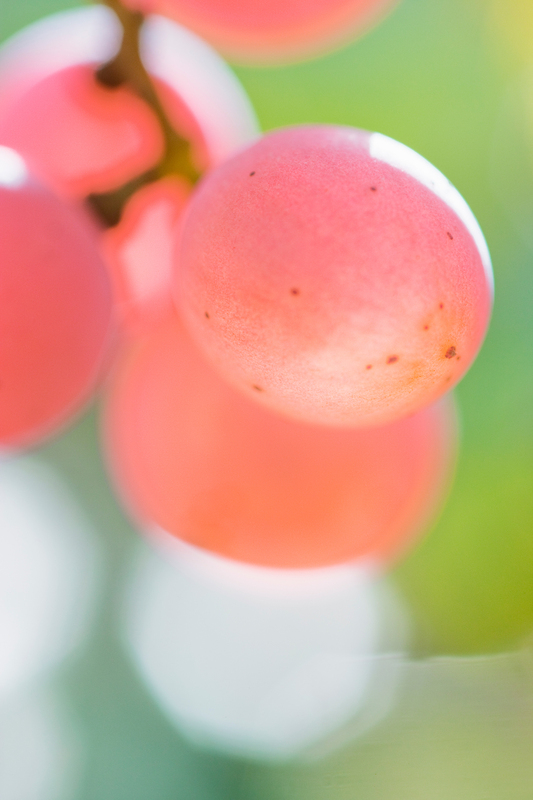 Generally, the pink-skinned Koshu grapes produce a delicate, light-bodied, refreshing, relatively low-alcohol (10-12%) wine that should be drunk young. This delicacy, which some describe as blandness or lack of character, makes it a good companion for Japanese dishes, such as sashimi and sushi. “It is beautifully fresh and lively with citrus/grassy characteristics, saline texture, delicate floral nose and fruitiness with high minerality,” says Honami Matsumoto, an expert on Japanese wine, sake and food. Koshu is an ancient variety with European origins. It probably made its way to Japan from the Caucasus via China’s Silk Road and was first planted by Buddhist monks. Records show it has been grown in Japan since the 8th century but was not used for wine until the late 19th century. 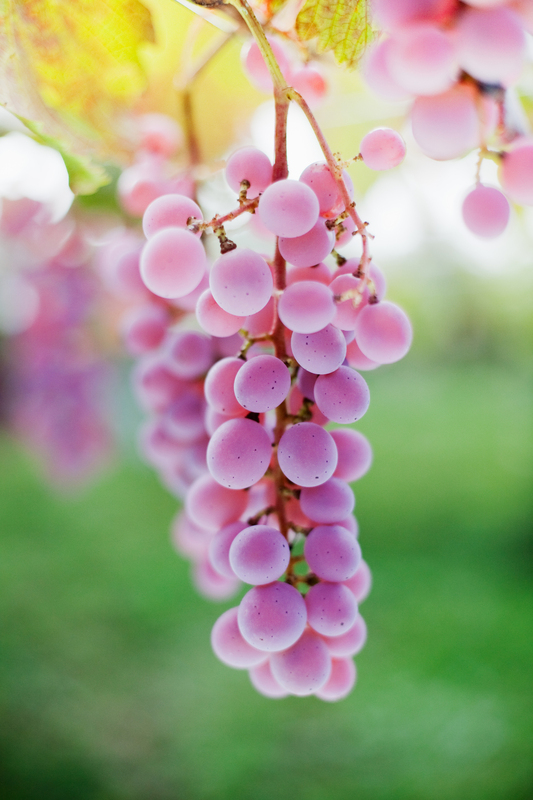 For most of its known history, Koshu has been grown as a table grape and the pergola system used to ensure high yields of pinkish-grey grapes that looked good in fruit bowls. The first record of winemaking is in 1874, when some locals in Yamanashi Prefecture’s Kofu City started fermenting the juice. A winery was established in the region in 1879. However, it was not until after the Second World War that wine production using the ‘native’ grape became more widespread and it was not until the 1990s that it started being taken seriously by international wine lovers. Under the umbrella organisation Koshu of Japan, they began to export to the UK in 2010. There are about 80 wineries in Yamanashi Prefecture, about 100km west of Tokyo. This region, overlooked by Mt Fuji and the Japanese Alps, accounts for 40% of Japan’s domestic wine production and about 90% of its Koshu wine. It has about 480ha planted with Koshu vines. There, the vines benefit from harsh winters, long, hot summers, and well-drained volcanic soils. Two of the higher, steeper sites producing some of the best wines are Toriibira and Hishiyama. The rest of Japan’s Koshu vines can be found in the prefectures of Yamagata, Osaka, Tottori and Shimane. But Yamanashi is its home and Koshu is, in fact, the old name for Yamanashi. Each suits a different style of food. A delicate Koshu pairs well with delicate white fish, rich fatty fish, creamy fresh squid and scallops. “The lovely fresh yuzu citrus character with light body goes well with white fish and it also cuts through the richness of fatty fish while the saline character matches the creaminess of shellfish,” Honami told me. It’s not just Japanese food that it goes well with either. Koshu definitely goes well with most seafood and fish that are uncooked and vinegar/citrus cured, including Peruvian ceviche and raw oysters (un-oaked Koshu), smoked fish and shellfish (Koshu sur lie), and a sparkling Koshu from the family-owned winery Lumière is known to go well with fish pie. Lumière, which has 2.5 ha of almost-organic vineyards, also makes a deliciously mineral and nutty Lumière Koshu Sur Lie. Grace Wine in the Yamanashi Prefecture is one of the pioneers in high-quality Koshu wine production and was one of the first to introduce VSP for grape growing. Its typical Koshu is very dry with relatively high acidity and a clean, long finish. Look out for the single-vineyard Hishiyama and Akeno. Akeno is the highest vineyard in Japan and has the longest daylight hours. The 2012 Grace Alenko Koshu is particularly crisp and pleasant, with a little bit of tannin from the grape’s thick skins at the end. From this vineyard, winery owner Shigekazu Misawa and his Bordeaux and Stellenbosch trained winemaking daughter, Ayana (pictured), also harvest high-quality Merlot, Cabernet Sauvignon, Cabernet Franc, and Chardonnay, which seem to go down better in the Japanese market. The winery was established in 1923 and they produce about 2,000hl of wine a year from 14ha of land. Yamanashi Wine follows biodynamic farming for many varieties but not yet for Koshu. Its top Koshu is the Sol Lucet, which has a softer and rounder mouth feel and a larger hint of savouriness than other Koshu wines. “I think Yamanashi Wine is a very exciting producer to keep an eye on, especially how it will progress with its biodynamic practice with regard to Koshu,” says Honami. Marufuji Winery is another family-owned Koshu pioneer. Its Rubaiyat Koshu is slightly smoky and the 2012 that I tasted has a distinctive peachy aroma and flavour. Rubaiyat also produces international varieties such as Chardonnay, Merlot and Petit Verdot. • Yamato Wine (its Madoromi is fermented in barriques). And if we could choose only one Koshu wine? It would be the Grace Cuvée Misawa Akeno Koshu 2015.